This week we jump into a place that we have not discussed for a few years now, the Italian front. Our last visit to this front was way back in Episode 47 which basically feels like ancient history at this point. The plan was to catch back up on the Italian front last year, but the other events of 1916 just sort of steamrolled over everything else. This means that we have a lot of catching up to do and it we will do so over what appears to be 7 episodes. This will provide everybody with a longer narrative for the Italian front which hopefully will help everyone follow the story. Looking ahead after the Italian front we will jump into the situation in Russia in 1917, which is of course quite the story, so buckle in for a summer of lengthy stories, which I think will work out great. For the Italian front we rejoin the events at the Battle of Asiago, then the 6th through 11th Battles of the Isonzo, and finally the battle of Caporetto. This will take us through all of the events of 1916 and 1917 on the Austro-Hungarian frontier. During this episode we will do just a bit to catch everybody up on what has happened so far and then dive right into the planning for the Battle of Asiago, sometimes called the Battle of Trentino which was an Austrian attack, really their first big one of the war on the Italian front, which took place at the beginning of 1916. We will then fishing off the day with a discussion of the naval war in the Adriatic which is one of many little side stories that I have mapped out these episodes. Instead of working them into the narrative I have put them at the end of episodes and they will cover a subject for the entire war and not just the time period being discussed. This should hopefully give you some really neat information, and also allow me to talk about all these interesting topics that do not really justify an entire episode. So, I hope everybody can put on their memory hats as we jump back in time to 1915. Italy had entered the war in that year with the goal of getting back the territories on the Adriatic around Trieste from the Austro-Hungarian Empire. This drive to recover these territories, this Italia Irrendenta, or Unredeemed Italy, was a cause that dated back to the Italian unification when Austria had taken the territories that were traditionally Italian. This war aim caused them to launch multiple attacks in 1915. All of them were launched on or around the Isonzo river in areas like Mt. San Michele, Mt. Sabotino, Gorizia, and the Carso. Over the course of 5 battles the Italians through themselves against the Austrian lines and they achieved very little. For their part the Austrians put just enough troops on the Isonzo to keep the line from collapsing, treating this area as a secondary, and sometimes even tertiary front, behind the Russian and Serbian fronts in 1915. So while the Austrians were able to hold back the Italian attacks it had always been a close run thing, far closer than it would have been if more Empire troops were committed. However, as the year came to an end Conrad wanted to move away from just standing on the defensive on the Italian front, and that desire would set the stage for the first Austrian offensive against Italy, often called the Battle of Trentino. Conrad was always a commander who wanted to attack, before he had literally written entire books on attacking, and as 1915 drew to a close he thought that his army was strong enough to launch an attack against Italy. This belief was buoyed by the conquest of Serbia and Montenegro in late 1915 and so as Conrad sought an area for the attack he settled on an attack out of Tyrol in the Trentino region. The goal of this attack was to move south and out of the mountains to fall upon the Italian troops north of Venice. If this happened, and if the Austrians were successful they would be able to reach the Adriatic. At that point, since the attack would be taking place to the west of the Isonzo, they would cut off all of the Italian troops on that front, which represented most of the Italian army. It would not be crazy to think that if this attack had been completely successful Italy would have been pushed out of the war, its army would be a shell of its former self at the very least. There was one small, tiny, little possible problem. As planning for the attack progressed Conrad realized that he did not have enough troops. He thought that he would need about 16 full-strength divisions, giving him a 2 to 1 advantage over the defenders. In early 1916 Austria simply would not have this number of troops available to pull of an attack on that scale, especially with the need for men on the Russian and Balkan fronts. This pushed Conrad into a decision that I am sure he did not enjoy, he had to try to convince the Germans to send help. Conrad went to Falkenhayn and claimed that he could win the war with this attack all he needed was for the Germans to either contribute troops directly or, if that was something they didn't want to do, then send more troops to the Russian front so that Austrian troops would be freed up. 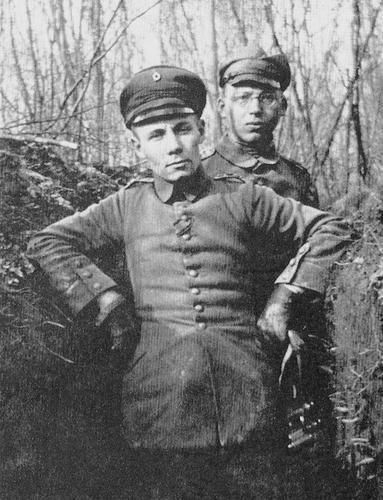 At this point Falkenhayn was preparing for his attack at Verdun which made him less than amicable to siphoning off his reserves on the Western front to help his Austrian ally. Also, he did not actually believe that the attack would work. He believed that Conrad was grossly underestimating the number of troops that would be necessary and instead of needing on 16 divisions he would need something more like 25 and that number of troops, was not going to be assembled unless reserves were stripped from every front. Due to this Falkenhayn flatly refused to assist the Austrians since he believed the best possible outcome of their plan was moving the line on the Italian front a few miles from its current location, and Falkenhayn was just not interested in that. Even with this rejection Conrad was not convinced that he should not launch the attack, he would just have to find the troops from somewhere else. The only two places with any real number of Austrian troops were the Russian and Isonzo fronts and so Conrad would take 4 of Boroevic's best divisions from the Isonzo, the formations least effected by the fighting in 1915. This amounted to nearly half of the defending troops on that area of the front, and their absence would be felt later. Conrad also took a good portion of the heavy artillery batteries from the Isonzo since that was the only way to concentrate the amount of artillery necessary for the attack. Then from the Russian front Conrad would take 6 divisions, because surely the Russians could not possible launch an attack on the Austrian front in mid 1916. These 10 total divisions, plus the troops that were already in the area or moved from other areas of the Empire would give Conrad a total of 15 divisions and more than a thousand artillery pieces. The original plan was for these troops to launch their attack in mid-April, a date chosen due to a very mild Alpine February, which made Conrad hope that this good weather would hold through March and April. This would not come to pass and on March 1st the weather turned and show fell heavily, resulting in snow fall of over 2 meters on the sections of the front to be attacked. This meant that the only open was to postpone the attack until the middle of May. From the beginning the Austrians were also having serious logistical problems. There was a very small number of quality roads through the mountains in the area where the attack would be launched and this made it difficult to stockpile the number of troops and material that was necessary. The weather in March made what would have been a difficult task under the best of conditions into something that almost felt impossible. These problems did not damper Conrad's spirit too much and from his headquarters in Silesia he would continue to send detailed instructions to his commanders at the front right up until the attack began. Sometimes these were too detailed, without leaving any latitude for changes due to the situation at the front, a situation that Conrad was not well apprised of. Also, and it was impossible for Conrad to know this at the time but this delay would have severe consequences later. Delaying until Mid May meant that there was no chance of the attack successfully concluding before the Russian summer offensive was launched, an offensive that would come to be called the Brusilov offensive. But that was in the future, and would be small comfort to the Italians when the attack was launched, speaking of the Italians, lets look into what they were up to in early 1916. After the failure of the 5th Battle of the Isonzo Cadorna quickly moved on to planning his next effort. When news started to filter back to him of a build-up of Austrian units in the Trentino region he did not immediately react. His biggest concern was that this was simply an Austrian feint to get him to pull trooops off of the Isonzo and in that way it made him more confident and dedicated to launch another attack on that front. When the Italian commander of the 1st Army, General Brusati, asked Cadorna for reinforcements he was told instead that he would get none. Cadorna believed that there were already more than enough troops to hold the line and instead Brusati should be putting more efforts into improving his defensive positions which would prevent any problems. Brusati had made some critical errors in where he spent his men's efforts and how he arranged his forces before the attack. Instead of focusing on strengthening a defensible front, and creating a strong secondary position in case of an attack, he had spent the previous 6 months pushing his men slowly forward, as close to the Austrians as possible. What he should have been doing is consolidating his positions on the best defensive ground available, even if it meant giving up some territory, as it was his men were pushed up so far that they were spread out in a bunch of advance positions, often poorly sighted and easily neutralized by the Austrians. When Cadorna came to visit in May he instantly sacked Brusati due to these mistakes and a new general was brought in, but by that point it was far too late to truly rectify the situation. The Italians were simply stuck with the situation that Brusati left them however, he cannot bear all the blame and some of it must be shifted to Cadorna. He was well aware of the Austrian plans well before May, he even had detailed information about the coming operations from Austrian defenders and he did not chose to give the area either more attention or more men. The bombardment, from 1000 guns, would begin on May 15th. The shells fell on the inadequate defenses and caused havoc among the defending troops. Then the Austrian attack began, with well trained troops at its head, these troops were some of the best trained in the entire Austro-Hungarian army at this point in the war, and they went forward on a front 20 kilometers in length and on that entire front they were able to rupture the Italian front. Some Italians fought bravely against the oncoming tide, however far too often these troops were abandoned by the Italian artillery and the troops on either side who just wanted to get away as soon as possible. Overall, the advance would reach a depth of 5 miles just on the first day with the advance continuing for several more days. While things seemed good for the Austrians there were already some worrying trends that were beginning to form. Heavy guns and their ammunition had to be laboriously moved over the terrain, robbing the continuing advance of any possibility of either retaining or regaining the artillery advantage they had enjoyed in the opening attack. Also, on the Italian side, they were beginning to respond. All that they could see was a large army of Austrians cascading down the mountains and there was a good amount of panic both in the upper areas of the military command as well as in the government. Cadorna was one of the people who remained calm. He instantly began transferring troops from the Isonzo front to bolster the crumbling Italian units and he organized a final line of resistance on the Asiago Plateau. Over the next 2 weeks as the Austrians continued to push forward 180,000 men would be transferred off of the Isonzo or from training depots and they manned the new defenses, by the middle of June there would be 300,000 more on their way. These reinforcements were in the future though, and on May 20th Conrad extended the front of the attack to be even wider, hoping to hit the Italians while they were unorganized. This was also a show of confidence, with Conrad believing that things were going very well. However, this spread his forces thinner, but for the moment it would not matter. By May 27th the third Italian defensive line fell and they had to fall back into the line on the Asiago Plateau. On that day the Austrians captured the city of Arsiero, following the next day by Asiago itself. Things seemed to be going great, the attack was rolling well, the Italians seemed to be in full retreat, nothing could possibly go wrong now, right? As soon as the size of the attack became apparent to the Italians, besides moving reinforcements from the Isonzo Cadorna also asked the Russians to move up their planned June 15th attack to the beginning of June. The first of June was not possible, but the 4th of June was, which became the new start date for the attack. This would be the Brusilov Offensive that we discussed last year in Episodes 84 through 88. 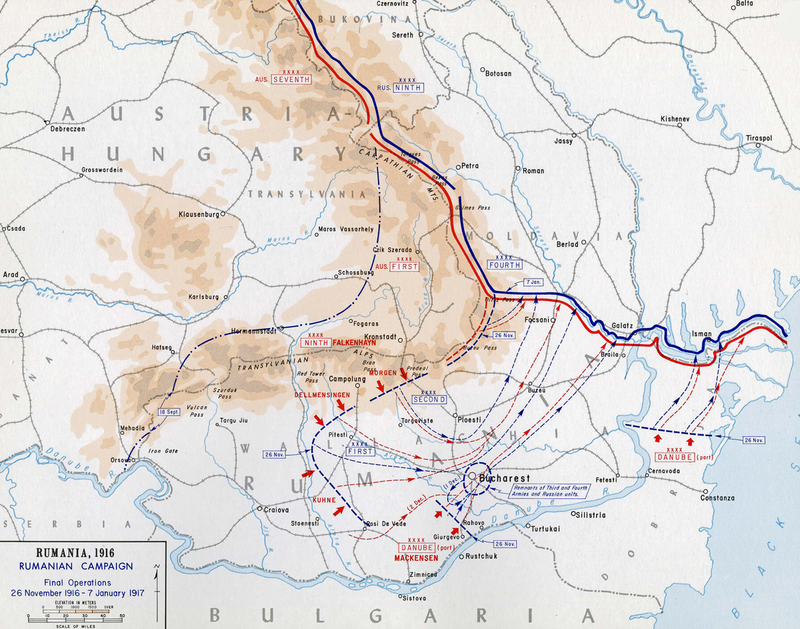 For those who don't remember this was the Russian attack that in just 2 days pushed the Austrians back almost 100 kilometers and would capture hundreds of thousands of prisoners. Conrad had taken his best divisions from the Russian front, which would have been very beneficial when the attack began. The complete collapse of the liens in Galicia meant that Conrad had to almost instantly begin transferring troops back to the Eastern Front and by June 13th there were already 2 divisions back in Galicia. This would be the precursor to the halting of the attack on June the 16th. The Austrians had reached the southern end of the Asiago Plateau, but they would go no further. With the shift to the Russian Front the Austrians retreated from their furthest advance on June the 25th. Before they did they ransacked the cities of Arsiero and Asiago before falling back to a line of well-prepared defenses behind them. The Italians pursued them and launched counter attacks against these new positions but they were uncoordinated and unsuccessful. This would then leave the Austrians in control of two thirds of their largest gains, and in control of the norther portion of the Asiago plateau. For the Austrians the 50,000 casualties they had suffered were back enough, the worst part was that these casualties allowed them to occupy positions that did not provide much of a strategic advantage and holding onto it would simply be a drain on Austrian resources for the next few years. On the other side the Austrians suffered almost 150,000 casualties. For the Italians the casualties would not be the great effect of the battle. Back in Rome, after the initial shock of the Austrian attack wore off, Prime Minister Salandra began to try and remove Cadorna from command. There were two big obstacles to this, first the King imposed a stipulation that he would only allow this if there was full cabinet support for the move and if there was a viable candidate to take his place. The second piece of that, a suitable replacement, was more difficult than you might think because there was just not any kind of obvious candidate. However, trying to obtain full cabinet support would be Salandra's undoing. First of all, when Parliament opened session on June 6th instead of blaming the army for the disaster they blamed Salandra. He tried to shift the blame back over to the Army but was unsuccessful and instead a vot of confidence was called, which he lost, which meant the fall of the government. Then, as the offensive ended, instead of it lowering Cadorna's standing it increased it due to the view that hew as a hero for being able to rally the army and stop the attack, similar to Joffre and the Marne. This view was pushed heavily by the Italian Press which made Cadorna even more unassailable than he was before the attack. Conrad experienced the exact opposite effect. His prestige would reach a new low in Vienna. He had overreached in his attack, and his belief that the Russians could not possible launch and attack have proved to be false. He had underestimated the number of men he would need for his attack, and Brusilov robbed him of the ability to transfer in more after it had begun. He would be blamed for the failures to defend against Brusilov which would lead to some responsibility for Romania entering the war later in the year being placed on his shoulders. This failure was a huge contributing factor to the fall of Conrad which we have discussed from various angles over the last year. Now we will shift to the Adriatic. As will sometimes happen this section of the episode is brought to by a random journal article that I grabbed a few months ago that led me down a bit of a research rabbit hole. In this case it was Italy and the War in the Adriatic by Renato Sicurezza which covers the events in the Adriatic during the war. For the most this sea is a forgotten theater, without the large actions that would visit the Mediterranean, Atlantic, and North Seas. When Italy and Austria-Hungary were allies before they war they knew that even with both of their navies combined they would still be heavily outnumbered in a war with the British and French. Because of this their goal was to try and keep the Otranto straits open to allow their ships to be move freely between the Adriatic and Mediterranean with light surface ships and submarines, not just brute force. However, this plan would fall apart when Italy entered the war against the Empire. Italy would be in the better position in terms of dreadnoughts and pre-dreadnoughts with Austria-Hungary having better heavy cruisers. When the war started the two sides decided on different modes of operation. For the Italian Navy their plan was to provide assistance to the Italian Army as they advanced towards Trieste, this would involve coastal bombardment, a blockade of Trieste itself, and maintaining control of the northern Adriatic. For the Austro-Hungarian navy they were preparing to constantly launch surprise raids against the Italian coastline. This last objective was assisted by the fact that most of the Italian Adriatic coast was low lying and easily accessible and the Italians had not invested in any sort of fixed or mobile coastal gun positions. When the Austro-Hungarian attacks began the Italians were caught off guard and unprepared, but they reacted rapidly and the Navy changed their plans accordingly. Mines and submarines were placed along the Austrian coast to try and restrict movement, patrols of both aircraft and light ships were put on constant patrol, the Italian fleet was spread out among the three main ports on the Italian coast, reducing the time it would take for them to respond to a raid, and finally they began to use armored trains to defend the coast. These trains were placed on the Italian coast and could easily defend the length of the coastline using pre-existing rail lines. Here is Renato Sicurezza to explain how this was done "All the trains were capable of travelling at sixty to seventy-five km/h and each operated along about sixty km. of track, so that by staying at a centre point, it would never have to travel more than half an hour to reach any point where coast was being threatened. The trains were kept at the ready, with their teams on board and boiler pressure up, awaiting the alarm at any minute – usually at first light, the enemy fleet having crept up to the coast under cover of darkness. To prevent the recoil of the guns deforming the rails, there was a breathless minute when the crew, after it reached the battle area, jacked up the train, removed its wheels, and anchored it securely to the bed of the track." These efforts, and the threat of Austrian and German submarines, had the effect of making the Adriatic pretty static for the rest of the war after about mid 1915. In some ways it felt like a watery trench between the two countries due to the amount of defenses on both coasts which made it difficult for any decisive action to occur. Even though for the most part there was little action in the Adriatic one of the largest actions occurred on May 15th 1917. During this action the Austrians attacked an Italian convoy in the lower Adriatic around the Otranto barrier that the Entente had assembled to keep primarily Austrian submarines bottled up. 5 Austrian destroyers and some aircraft attacked the convoy, quickly sinking one cargo ship and a destroyer. This prompted an Allied response with 2 British Light Cruisers, 4 Italian and 3 French destroyers sortieing out to meet them. This developed into a running battle with both sides bringing the enemy into range of their coastal batteries at various points. The results were 2 Austrian destroyers damaged, one Italian and two British destroyers hit, and one French destroyer sunk by a mine. Not the largest or most decisive naval action. Next week we will jump back to the Isonzo by looking at the Sixth and Seventh battles of the Isonzo, thank you for listening.